Question: Relate hypostatic union to impeccability. Christ was tempted yet did not sin. Answer: In relation to the hypostatic union, impeccability means that Christ’s divine nature is neither peccable nor temptable (Jas 1:13). His human nature, on the other hand, is temptable but was not peccable (cf: Mt 4:1-11 and Lk 4:1-13 with Heb 4:15). 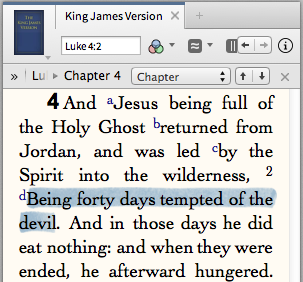 “Then was Jesus led up of the Spirit into the wilderness to be tempted of the devil. 2 And when he had fasted forty days and forty nights, he was afterward an hungred. 3 And when the tempter came to him, he said, If thou be the Son of God, command that these stones be made bread. 4 But he answered and said, It is written, Man shall not live by bread alone, but by every word that proceedeth out of the mouth of God. 5 Then the devil taketh him up into the holy city, and setteth him on a pinnacle of the temple, 6 And saith unto him, If thou be the Son of God, cast thyself down: for it is written, He shall give his angels charge concerning thee: and in their hands they shall bear thee up, lest at any time thou dash thy foot against a stone. 7 Jesus said unto him, It is written again, Thou shalt not tempt the Lord thy God. 8 Again, the devil taketh him up into an exceeding high mountain, and sheweth him all the kingdoms of the world, and the glory of them; 9 And saith unto him, All these things will I give thee, if thou wilt fall down and worship me. 10 Then saith Jesus unto him, Get thee hence, Satan: for it is written, Thou shalt worship the Lord thy God, and him only shalt thou serve. 11 Then the devil leaveth him, and, behold, angels came and ministered unto him” (Matt 4:1-11).